Sometimes natural lighting is sufficient for your photography needs, but when it isn't, you have several options, especially if you're using a digital single-lens reflex (DSLR) camera. Large flash units, external flashes, and studio lights all work well. Some external flash units are large and heavy, while others, especially those made for digital interchangeable lens (DIL) cameras, are small and compact. Some speedlights can be precisely controlled in the intensity of the light they produce and in the direction in which it travels. For advanced photography needs, you're going to want a more advanced external flash unit that gives you precise control. Keep in mind that some models of speedlights do not work with certain cameras, so make sure that you have equipment that's compatible. A speedlight gives you more powerful lighting options and more control over those lighting options than a typical built-in flash unit. The speedlight also works over longer distances than a built-in flash. So, if you plan to shoot a lot of indoor, low-light photos, a DSLR camera or DIL camera with an external flash unit may be your best option for high-quality photos. A speedlight does not provide as much light as a large strobe or a studio light, but the speedlight is far more versatile because it can be used in a variety of locations. It also is much easier to carry to a photography session outside your studio. Before using a new speedlight, test it with your equipment. Make sure the speedlight is far enough above the camera to avoid being blocked by any lens hood or telephoto lens. Also, test the camera's feel and distribution of weight with the speedlight attached before you use it for a series of important photographs. Some heavier external flash units can be difficult to use with certain cameras because of the poor balance the speedlight creates. Make sure the speedlight you choose can run from its own battery, as most of them do. Selecting a speedlight that pulls its power from the camera quickly drains the camera battery. If your speedlight has an adjustable angle, use it to your advantage. If aiming the flash directly at the subject will create an unwanted glare, you can adjust the angle to bounce the light off a ceiling or wall. Take the time to learn all the features that your speedlight offers. 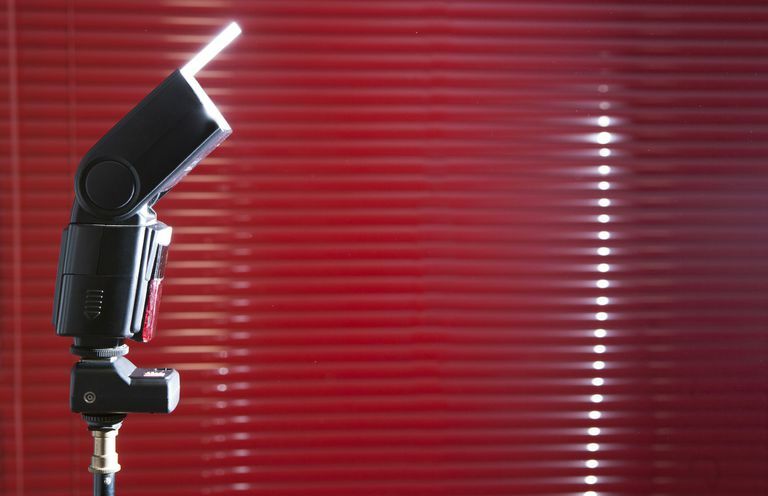 Some speedlights can be operated off the camera, and some have built-in focus assist lamps. Some even can sync to multiple shutter speeds, so it pays to read through the user manual to discover all the features that are available. The more you know about your external flash unit, the greater success you're going to have with your low-light photographs.